Swiss Church has a deep and wide culture of mission and outreach programs. Below you will find a description of some of the larger programs. This program provides help with rides to appointments as well as emergency food care needs. Team members make visits to sick and elderly church members and those not able to leave their home. The program also helps individuals and families connect with services that can help with rental assistance, utility bills, eye and dental care and prescriptions. This mission began in 2012, thanks to the generous donation of an area couple. The program’s purpose is to meet the needs of elementary and middle school students with an economic disadvantage in the New Glarus School District. The program is administered by a committee of teachers and administrators. Caring for Kids provides items such as school supplies, winter clothing, Food for Kids backpack program (providing food when needed), and Knight School (providing small-group and/or one to one assistance with homework as well as snack). Since 2001, members and non-members of Swiss Church have sponsored children in 9 different communities in El Salvador, ranging from Kindergarten to Universities. A fee of $160 is donated for each child and that money provides school supplies, clothing, food, and many times transportation to school. It also helps with assistance to those that administer the program in El Salvador. Once a year, the sponsor has contact with their child/children by sending down a gift packet or letter. These items are hand delivered to the children by sponsors that travel to El Salvador each winter. Letters are also sent to the sponsors, sometimes several times a year. Swiss Church works in close contact with Emmanuel Baptist Church, Oscar Rodriguez Flores and Lidia Castro to coordinate this project. We currently support approximately 97 children. Volunteers from Swiss Church have traveled to El Salvador each year since 2000. The objective of this mission is to provide assistance to impoverished communities in central El Salvador and to develop long-term relationships in these communities. Money for this mission is raised through fundraising events and individual donations. The volunteers who travel to El Salvador do so at their own cost. Some of the projects that have been completed on these trips are water projects, garden development for individual use and sales, construction of family homes, internal and external painting projects, assisting local physicians and general dentistry, chicken coop building and construction of community center buildings and a library. The money paid to the administrators in El Salvador for their work supplements their income. The Equal Exchange mission continues to provide coffee, nuts, chocolate, tea, olive oil and cocoa from producers throughout the world. These sale assist the producers to get a fair and equitable price for their products without having to go through a middleman. Funds received from the sales will assist in providing youth scholarships for a variety of mission efforts. Swiss Church is a member of the Family Promise of Green County network. We partner with Shepherd of the Hills Lutheran Church and First United Church of Christ in Belleville to provide food and shelter for homeless families in Green County. Our host site is at Shepherd of the Hills. We host families approximately 4 times per year. The mission of Family Promise of Green County is to help homeless and low income families achieve sustainable independence. Green Cares Food Pantry, located just outside of Monticello, has been in operation since August 2009. The pantry’s objective is to aid income eligible families of Green County by supporting their nutritional needs with approximately one week’s worth of food. Swiss UCC collects food donations on the first Sunday of each month and the following week volunteers deliver these donations directly to the Green Cares Food Pantry in Monticello. There is also a special envelope offering taken once a year to aid the pantry monetarily as well. Green Cares receives USDA foods once a month and additionally, the pantry purchases food from Second Harvest Food Bank in Madison at a cost of approximately $3500 - $5000 a month. When Second Harvest doesn’t have needed food items, food is purchased from Miller’s in Verona and Hoesly’s in New Glarus, who have been wonderful pantry partners. Fundraising is constant for this mission. In 2014, the pantry served 467 unduplicated families, comprised of 1,461 individuals. This is an increase of approximately 24% from 2013. Volunteers provide much more than just food to families that arrive at the door. Volunteers share ways to prepare some of the food in the pantry. Volunteers also help link adults to employment opportunities and make referrals to programming offered by the county and others, such as BadgerCare, WIC, Energy Assistance, Green County Public Health services, and to AARP volunteers to help with tax preparation. These same volunteers pack boxes of canned goods, unload trucks, and stock the shelves. There are nearly 80 volunteers that help at Green Cares – it is important to note there are no paid staff at Green Cares – just volunteers dedicated to combatting hunger. Green Cares takes families by appointment so no one has to wait in line or outside, and will take walk-ins. All are treated with the utmost respect. Families’ information is confidentially recorded on a computer data base during each visit. During 2014, Green Cares saw 467 unduplicated families, comprised of 1,461 unduplicated individuals. This compares to 381 families and 1,180 individuals during 2013. This is a 23% increase in families and 24% increase in individuals from 2013. We served more children ages 0-17 during 2014 as compared to 2013. In 2013, there were 424 children served and in 2014, this number grew to 550. This represents a 30% increase. Additionally the number of near-elderly and elderly grew in 2014. In 2013, we saw 170 individuals aged 55 and over, and in 2014, this number grew to 194, an increase of 15%. Also, the number of disabled individuals grew. In 2013, the number was 247 and in 2014, there were 285 indicating they were disabled. This represents an increase of 16%. Those individuals having health insurance increased in 2014. In 2013, 907 individuals reported having health insurance, while in 2014, 1,147 reported having health insurance. This represents an increase of 26%. Habitat for Humanity of Green County is a nonprofit, Christian organization committed to eliminating substandard housing. Within the last 25 years the organization has partnered with 25 families in Green County to build decent, affordable homes. In return for families committing sweat equity hours and qualifying to be a partner family (demonstrate financial need, have an acceptable credit rating), they receive an interest free loan that covers the cost of materials for the home, the lot, and services that require licensed contractors. 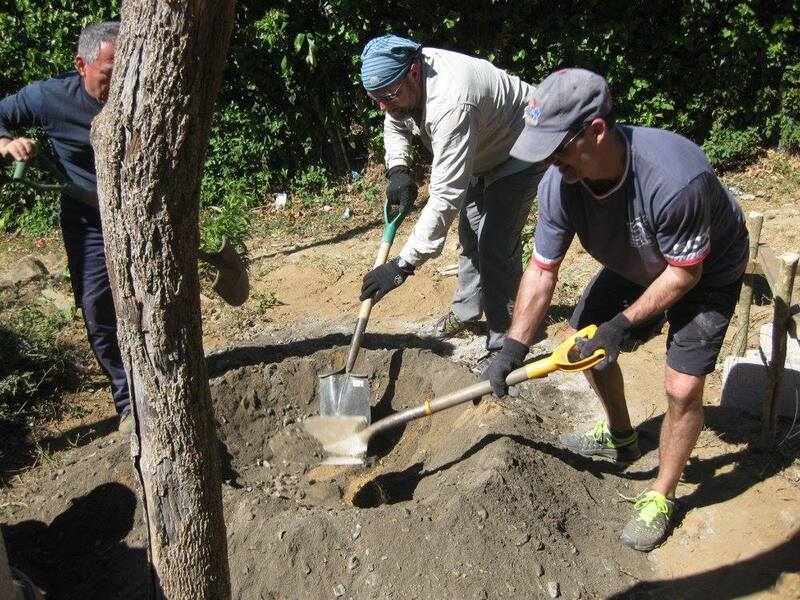 Swiss Church has historically supported this organization by providing volunteers to work on the homes, board members, donating funds, and participating in fund raising efforts. Habitat is currently engaging in projects in which critical home repairs result in people being able to remain in their homes. Habitat is also in the process of opening a business in which individuals can purchase used building supplies at reasonable prices, thus resulting in responsible recycling as we are committed to being good stewards of our environment. A bell ringing campaign in December is coordinated and members from our congregation including our confirmation students participate.